An impressive wine from an unexpected place. 100% Marquette from Vermont. The Shelburne Vineyard Marquette spent 6 months in American and French oak. 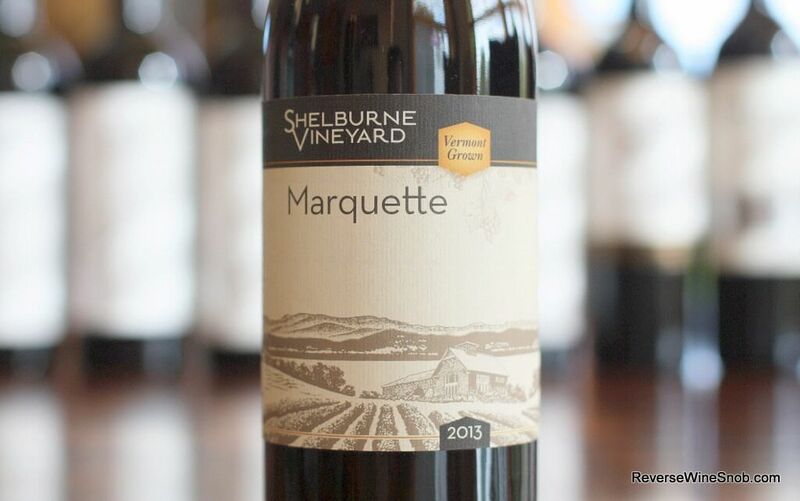 The Shelburne Vineyard Marquette has an SRP of $19 and is available at that price direct from the winery. 842 cases produced. Sample submitted for review. Marquette is the signature grape for our Vermont climate and soil. Our 2013 vintage has produced, once again, a dry red wine, medium-bodied with notes of black cherries, spice, soft tannins and a complex, lingering finish. Serve it with wild game, lamb, or a pasta dish finished with hearty tomato sauce. Today’s wine comes from what may seem like an unlikely place. 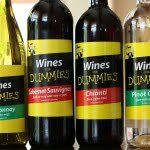 In fact, we’ve been on a binge of sorts recently trying wine from all kinds of unusual places to find the best to bring to you. Places like Macedonia, Moldova, Morocco, India, Texas, Turkey and even Vermont. Yes, Vermont. While Vermont lies at approximately the same latitude as places like Bordeaux and the Willamette Valley, it’s not usually a place you would think of for good wine thanks to its cold winters and short summers. Modern science, however, has stepped in and with the development of hybrid grapes that can survive and even thrive in these conditions, a whole new world has opened for cool climate regions. 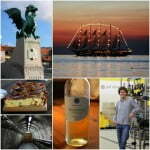 For red wine, one of the grapes with the most potential is the MN 1211, aka Marquette. Marquette is a grape developed in my home state by researchers at the University of Minnesota. 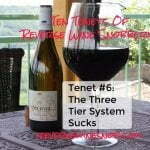 Just released in 2006, winemakers are beginning to see the true potential of mature vines now and the outlook is quite good. With Pinot Noir as one its grandparents and several other hybrids contributing, this grape can survive subzero temps in the winter and still produce ripe grapes with lots of sugar and acidity. The resulting wine also responds positively to oak aging, making it capable of a wide range of styles. The 2013 Shelburne Vineyard Marquette begins with pleasant aromas of red and black cherry, bramble, red licorice and a hint of vanilla. There was subtle green note on the nose that had me worried the grapes might be underripe but that concern was quickly dispelled when tasting this smooth, soft, medium-bodied wine. In fact my first thought upon tasting was that this wine can’t really be from Vermont. With lots of black cherry, lots of cola, nice spice notes and good acidity this is a surprisingly complex wine yet extremely drinkable at the same time. 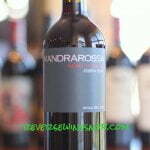 Quite food friendly and flexible, I’d be happy to have this wine around as a daily drinker. It ends dry with very good length. 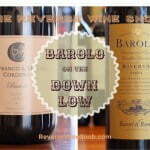 Pinot Noir drinkers in particular will find a lot to like here.